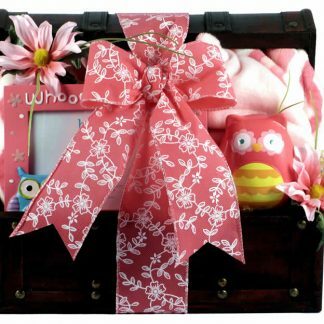 Home / Baby Gifts / Welcome To The World! 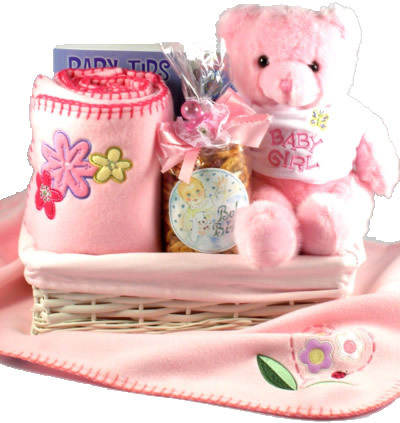 This beautiful baby basket is available in pink (shown) or blue. 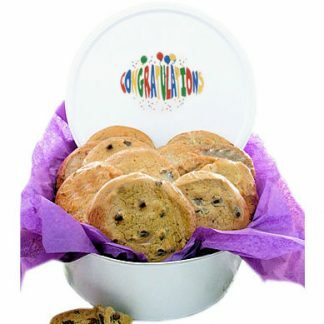 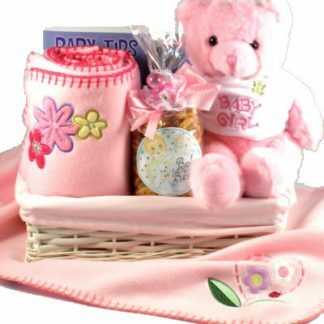 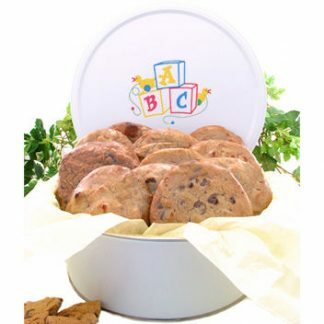 It includes a painted wicker basket with either a light pink or baby blue fabric lining, a plush pink or blue bear wearing a cute t-shirt that reads “Baby Girl” or “Baby Boy”, a very soft fleece baby blanket in either pink or blue, both with embroidered detailing, a hardcover baby book and for mommy and daddy, a large box of assorted cookies and a bag of “Baby Bits” gourmet snack mix!